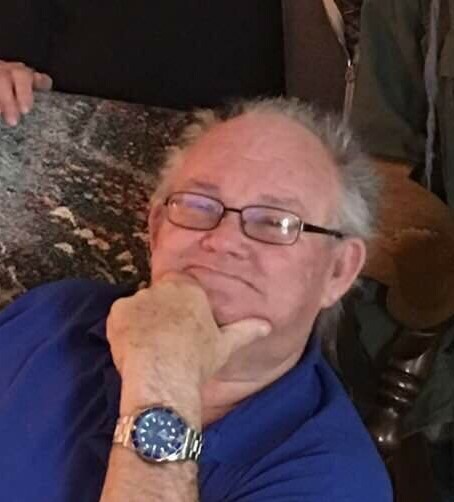 Eddie Lee Kuhn, 76, North Webster, passed away at 6 p.m., Sunday, May 27, 2018, at his home. He was born Aug. 2, 1941, in Wolf Lake, to Marvin Earl and Betty Rose (Stump) Kuhn. He was a Lifetime North Webster and Cromwell area resident and attended North Webster High School. He was married on June 5, 1960, in North Webster, to Sandra M. “Sandy” Burns who survives. He retired as a truck driver after 30 years and was formerly employed at Holly Park Mobile Homes, Morgan Drive Away, and Vilactos in Syracuse. He was a member of the Salem Community Church of Wilmot where he was board member trustee and active in the origination of the food pantry of the church. He was an avid Indiana University and NASCAR fan. He is survived by his wife; four sons: Randy (Linda) Kuhn, Cromwell; Patrick Kuhn, North Webster; Scott (Susan) Kuhn, Albion; Jason (Shanda) Kuhn, LaPaz; nine grandchildren and 13 great grandchildren; two sisters: Marvena Kay (David) Blanchard, Maumee, Ohio; and Angela Fay Deck, Albion; brother, Danny D. Kuhn, Fort Wayne. He was preceded in death by his parents and a brother, Larry S. “Buck” Kuhn. Visitation will be from 2-4 p.m. and 5-7 p.m., Friday, June 1, at Owen Family Funeral Home, SR 13 and CR 500N, North Webster. Funeral services will follow at 7 p.m. on Friday in the funeral home with Pastor Gary Colby officiating. Cremation will take place at Cremation Services of Kosciusko County, 4356 N. SR 15, Warsaw. Private burial will take place in the Mock Cemetery in North Webster at a later date. Preferred memorials may be given to Goshen Home Care and Hospice, P.O. Box 723, Goshen, IN 46527 or Salem Community Church, 1188 W. 325S-57, Larwill, IN 46764.